Breckenridge Elementary debuted "Of Mice and Mozart" on Tuesday, May 10. 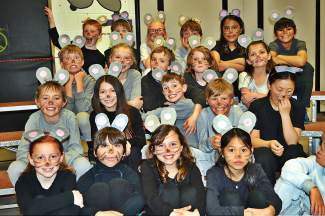 The teachers and students at Breckenridge Elementary School showcased “Of Mice and Mozart” on Tuesday, May 10. The school’s auditorium was packed with a standing-room only crowd for the show.